The in-between option that I haven't really mentioned is for the current rally to be wave C (with blue 1 being A, and yesterday's low being B) of a decent-sized ABC correction, which would likely peak in the vicinity of the first target zone (2385 +/-). 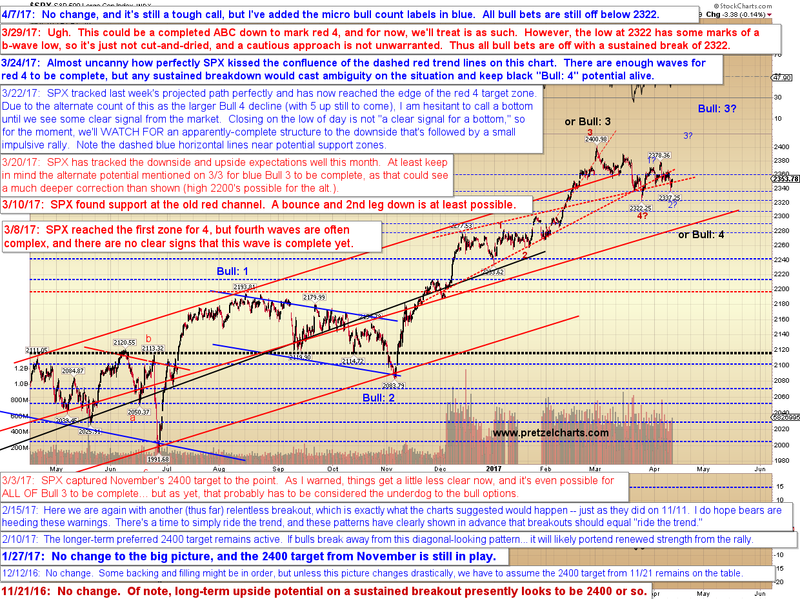 Nervous bulls might consider capturing at least partial profits if we reach that zone. In conclusion, the slightly-preferred bullish count is performing as one would want it to, so there's no reason to add additional speculation to the outlook just yet -- but it's still a tight call, so I'm hardly advocating complacency. 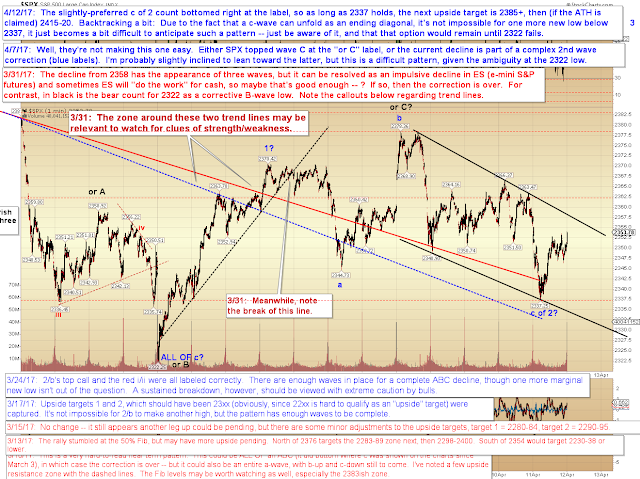 If SPX breaks yesterday's low, it gets a bit trickier for bulls, although they still have the ending diagonal option until 2322 fails. 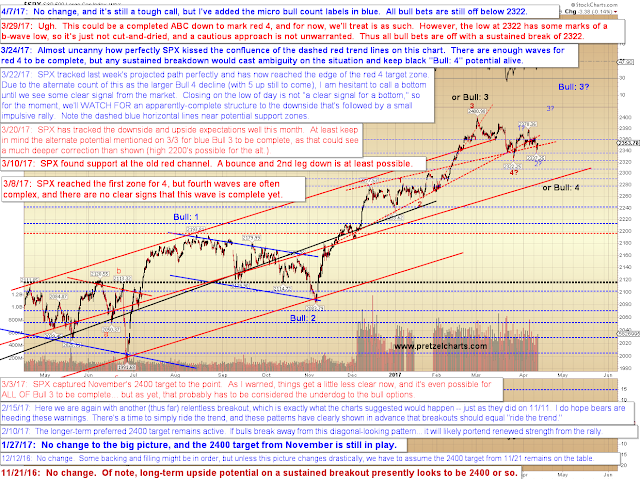 As long as yesterday's low holds, then the next meaningful upside target is in the 2385 zone. 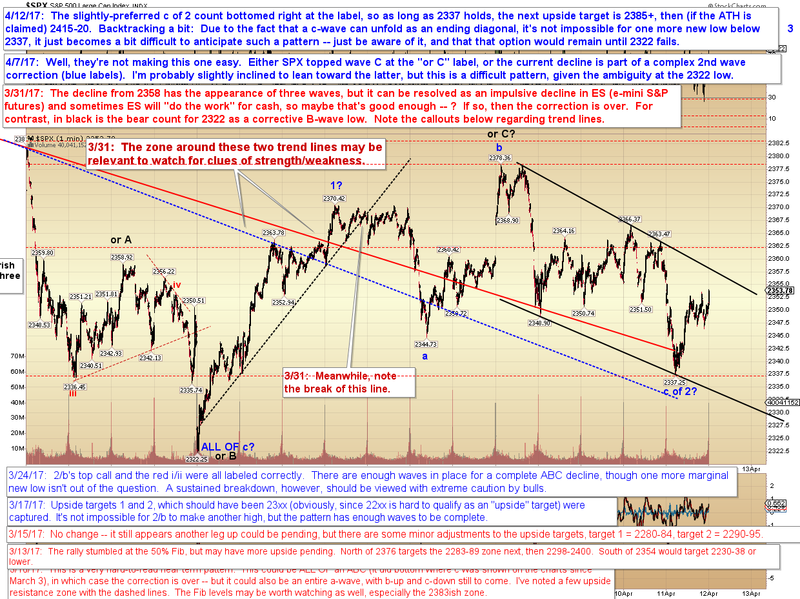 Keep in mind that if c of 2 bottomed yesterday, then we are beginning a third wave rally, so we'd expect to see some strength from the market, beginning reasonably soon. Trade safe.